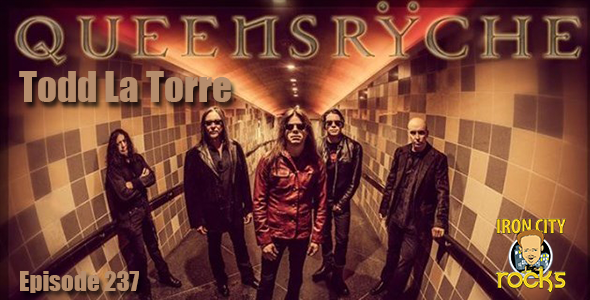 In Episode 237 of the Iron City Rocks Podcast we are joined by Todd La Torre of the band Queensrÿche. Queensrÿche have recently come to an agreement with former vocalist Geoff Tate over the use of the band’s name, logo and catalog. Todd was kind enough to join us and give us the rundown on that and more importantly the band’s plans for the future. We are also joined by Logan Raskin of the band The Raskins to talk about the band’s debut and some very exciting, and busy, touring plans for he and his twin brother.